Sculptra® is an injectable product that restores and corrects the signs of facial fat loss by replacing lost volume. Sculptra® is an injectable product that restores and corrects the signs of facial fat loss by replacing lost volume. Sculptra® provides an increase in skin thickness, helping to create a more natural facial appearance in those with facial lipoatrophy. Lipoatrophy is the loss of fat beneath the skin, which can result in sunken cheeks, indentations, and hollow eyes. Sculptra® is a safe, synthetic, and biocompatible material that is injected below the surface of the skin in the area of fat loss. It provides a gradual and significant increase in skin thickness, improving the appearance of folds and sunken areas. No skin testing is required. Sculptra® has been safely used outside the United States since 1999 in over 150,000 patients under the trade names New-Fill™ and Sculptra®. The effects of Sculptra® are enduring. In a clinical study, effects lasted for up to 2 years after the first treatment session in most patients. The results from Sculptra® are not immediate; Sculptra® provides a gradual increase in skin thickness. Your healthcare provider will see you again in a few weeks to decide if additional injections are needed. Touch-up treatments may be needed to maintain the desired effects. People with mild lipoatrophy will require fewer treatments than those with severe lipoatrophy. 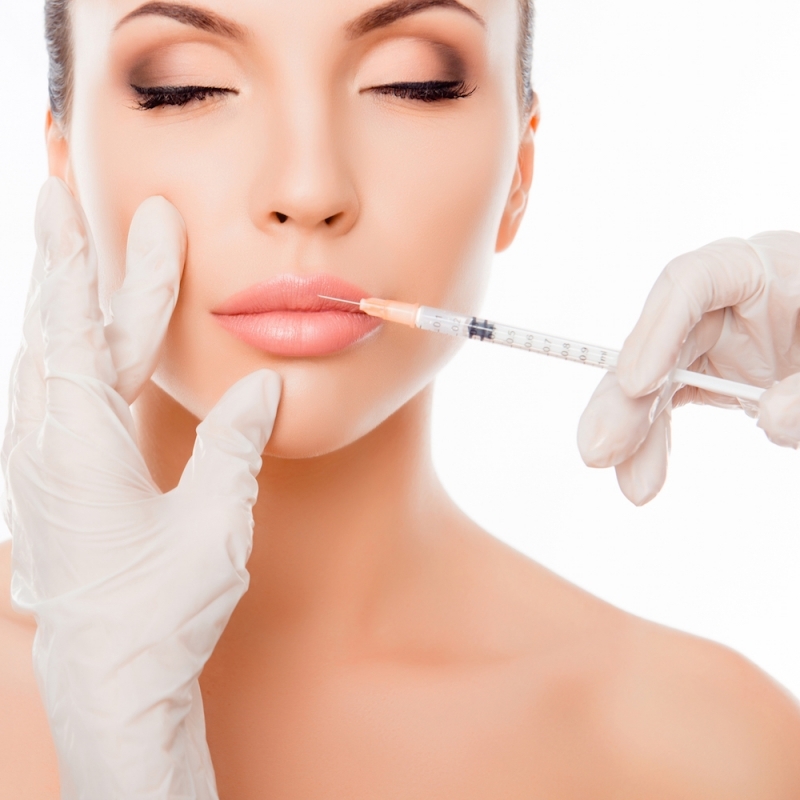 Sculptra® is a synthetic injectable material known as "poly-L-lactic acid." Poly-L-lactic acid is biocompatible (a material that does not harm the body) and biodegradable (able to be broken down by the body). Poly-L-lactic acid has been widely used for many years in dissolvable stitches, soft tissue implants, and other types of implants. Sculptra® is injected below the surface of the skin in the area of fat loss. Sculptra® provides a gradual increase in skin thickness. 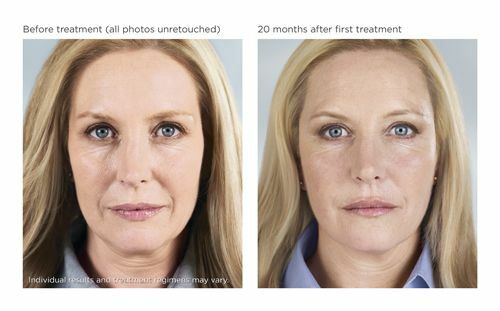 Visible results appear within the first few treatment sessions. Do I need a skin test before being treated with Sculptra®? No skin testing is required prior to use. Are the results from Sculptra® immediate? No. At your first treatment visit, it may appear that Sculptra® worked immediately because of swelling from the injections and the water used to dilute Sculptra®. In a few days, when the swelling goes down and the water is absorbed by your body, you may look as you did before your treatment. Sculptra® takes time to gradually correct the depression in your skin. Your healthcare provider will see you again in a few weeks to decide if you need more Sculptra® injections. Your healthcare provider will decide the appropriate number of treatment sessions and the amount of Sculptra® you will need at each session. Patients with severe facial fat loss may require 3 to 6 treatment sessions. Do injections of Sculptra® hurt? As with any injection, injections with Sculptra® may hurt. Sculptra® is injected in small amounts using a very fine needle. Your healthcare provider may apply a topical or local anesthetic. Immediately following a treatment session with Sculptra®, redness, swelling, pain, bruising or all of these signs can happen in the treatment area. These signs usually go away in a few hours to a few days. Some have been known to last up to 17 days. Your healthcare provider will give you specific post-treatment care instructions. You should massage the treated area (a few times each day) for several days after the treatment session. Within the first 24 hours after treatment, an ice pack should be applied for a few minutes at a time to the treatment area to help reduce swelling. Wrap the ice in a cloth and avoid putting ice directly on your skin. Avoid excessive sun and UV lamp exposure until any initial swelling and redness has resolved. Report any worsening or longer-lasting symptoms or signs to your healthcare provider. How quickly can I get back to my daily activities? Most patients feel comfortable going back to their normal activities following treatment. When will I be able to apply make-up after treatment? Make-up may be applied a few hours after treatment if no complications are present (for example, open wounds or bleeding). What are the possible side effects of treatment with Sculptra®? The most common side effects with the use of Sculptra® include injection-related side effects at the site of the injection such as bleeding, tenderness or pain, redness, bruising, or swelling. These side effects generally last, on average, 3 to 17 days. One possible delayed side effect with Sculptra® can be small bumps under the skin in the treated area. These small bumps may not be visible, and you may notice them only when you press on the treated skin. These bumps tend to happen within the first 6 to 12 months after the first treatment. Occasionally, these bumps go away on their own. Visible bumps, sometimes with redness or color change to the treated area, have also been reported. As with all procedures that involve an injection through the skin, there is a risk of infection. Report any side effects to your healthcare provider. Who should not use Sculptra®? You should not use Sculptra® if you are allergic to any ingredient of Sculptra®. Talk to your healthcare provider about your medical history when deciding on treatment options.